All that you have known is�hurt? You want to move-on and to graduate! But, you�re the one most hurt. And, forever�it seems�it will stay! Sometimes you just get angry. When you walk past their house�every day? And�out of the hurt�you can climb! You owe it to yourself�to get on with your life! A life of happiness�you can produce! 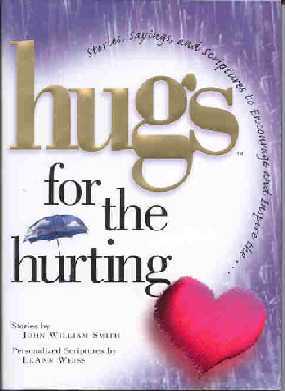 John William Smith - Author of "Hugs For The Hurting"